In case you couldn't make it down to Manchester, TN, for this year's Bonnaroo Music & Arts Festival (or prefer to spend your summers in the comforts of an air-conditioned home), don't sweat it. Exclaim! and Red Bull TV have got you covered. We've partnered to bring you the exclusive Canadian-only stream of this year's Bonnaroo for the full four days of the festival (June 11 – 14), which features performances from the likes of Alabama Shakes, Mac DeMarco, My Morning Jacket, D'Angelo and the Vanguard, Courtney Barnett, Run the Jewels, Spoon, Tycho, Tears for Fears, Against Me!, as well as many more. Watch the live stream starting at 7:15 p.m. CDT (8:15 p.m. EDT) and check out the full schedule below. 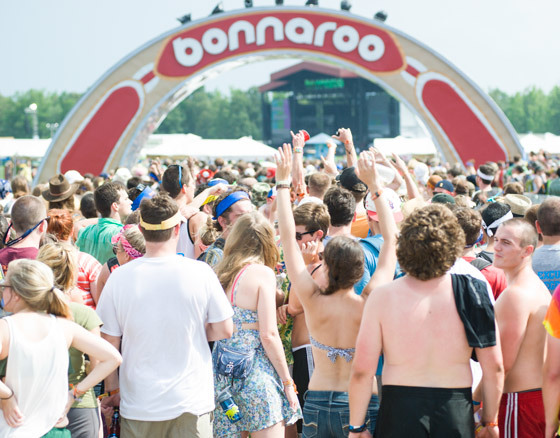 UPDATE: Bonnaroo 2015 is now a wrap, but click below to watch select performances from the festival.